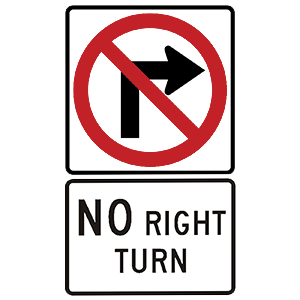 The same thing as a yield sign. The light is about to turn green. A flashing red light at an intersection means drivers are required to come to a complete stop, yield to traffic and pedestrians, and proceed when the way is clear. The same is true at a stop sign. Lanes travel in opposite directions and drivers are not permitted to pass. 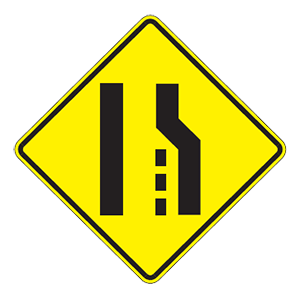 When a line separating lanes of traffic is dashed, drivers may cross the line to pass or change lanes. White lines separate lanes of traffic moving in the same direction. Never look over your right shoulder. Always slow down in your traffic lane. Before changing lanes, it is very important to check behind you. You should look over your shoulder to ensure that you are not getting in the way of vehicles in the lane you want to enter. Use your low beams when driving in fog, snow, rain, or mist. Light from high beams will reflect off of precipitation, causing a glare and making it even more difficult to see. Some vehicles are equipped with fog lights that should be used in addition to low beam headlights.